Each year, traumatic brain injuries (TBI) contribute to a substantial number of deaths and cases of permanent disability. A TBI is caused by a bump, blow or jolt to the head or a penetrating head injury that disrupts the normal function of the brain. The severity of a TBI may range from “mild” to “severe”. Data are critical to understanding the impact of this important public health problem. This information can help inform TBI prevention strategies, identify research and education priorities, and support the need for services among those living with a TBI. * There is no estimate for the number of people with non-fatal TBI seen outside of an emergency department or hospital or who receive no care at all. In the United States, an estimated 1.7 million people sustain a TBI every year. 52,000 die, 275,000 are hospitalized, and 1.365 million (nearly 80%) are treated and released from an emergency department. TBI is a contributing factor to a third (30.5%) of all injury-related deaths in the United States, and about 75% of TBIs that occur each year are concussions or other forms of mild traumatic brain injury (MTBI). Despite years of education and growing public awareness about head injuries, college football players report having six suspected concussions and 21 so-called “dings” for every diagnosed concussion, with offensive linemen being the least forthcoming to trainers and team personnel, a new study by Harvard University and Boston University researchers has found. And this is just college football. Every week, it seems we’re learning more about the prevalence of mild traumatic brain injury, and how under-estimated the impact really is. Again, those numbers are close to ten years old, and we keep learning more. So, discussing specific numbers at this point would be aiming for a constantly moving target, hoping to get a clear shot. That’s not going to happen, and I wager we’re about 20 years out from having the right combination of science, imaging technology, emotional control, and common sense, to properly assess the true prevalence and impact of mTBI. Children aged 0 to 4 years. Almost half a million (473,947) emergency department visits for TBI are made annually by children aged 0 to 14 years. Adults aged 65 years and older. Adults aged 75 years and older have the highest rates of TBI-related hospitalization and death. TBI rates are higher for males than for females in every age group, with males aged 0 to 4 years having the highest rates of TBI-related emergency department visits, hospitalizations, and deaths combined. More than half (55%) of TBIs among children 0 to 14 years were caused by falls. More than two-thirds (81%) of TBIs in adults aged 65 and older are caused by falls. Unintentional blunt trauma (e.g., being hit by an object) was the second leading cause of TBI, accounting for about 15% of TBIs in the United States for 2006–2010. Among all age groups, motor vehicle crashes were the third overall leading cause of TBI (14%). When looking at just TBI-related deaths, motor vehicle crashes were the second leading cause of TBI-related deaths (26%) for 2006–2010. About 10% of all TBIs are due to assaults. They accounted for 3% of TBIs in children less than 15 years of age and 1.4% of TBIs in adults 65 years and older for 2006–2010. About 75% of all assaults associated with TBI occur in young adults 15 to 44 years of age. While the numbers about injury are fairly sobering, what’s even more telling is the impact these injuries have to folks in the long-term. It’s a complex issue, obviously, as individuals from childhood to advanced years are impacted. And the long-term effects of a TBI will vary from person to person. 80-90% of folks who experience a mild TBI can recover without residual effects, while about 10-20% can end up with long-term issues, often called “Post-Concussion Syndrome (PCS)”. In every age group, the long-term impact is different. And each individual within that age group will have their own personal experience. Within the adult population, the direct societal impact of TBI can be even more pronounced, in terms of lost wages and productivity. When the folks who are supposed to show up for work each day, earn a living, raise families, pay the bills, and build communities are injured by TBI (and cannot maintain their former level of functioning), society as a whole suffers in a very direct way. Obviously, when children and the elderly are injured, it impacts society, but in a more indirect way. In 2003, the results of a nonexperimental, longitudinal study were published, characterizing financial and vocational outcomes among persons with traumatic brain injury (TBI). It focused on employment status, earned and private income, and public assistance received at the time of injury and at 1 year after injury. Thirty-five persons with new TBI were followed in their inpatient TBI rehabilitation unit and their community of residence. The goal was to measure outcomes in employment status, earned and private monthly income, and public assistance received monthly at the time of injury and at 1-year follow-up. This is no small potatoes. And it relates to only one year post-injury in the United States. TBI is a global problem, in fact, and it has a nasty way of becoming a chronic condition, even in its “mild” form. Folks who seem to be fine, one year after, can end up in dire straits, several years on down the line. 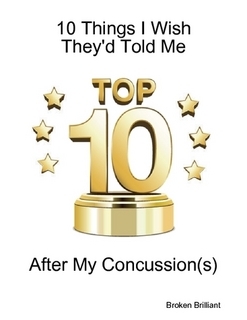 In the coming sections, I’ll be discussing just how that can happen — especially for mild TBI / concussion survivors. Not just in the United States, but in the world. According to the World Health Organization, by the year 2020, TBI will surpass many diseases as the major cause of death and disability. An estimated 10 million people are affected annually by TBI across the globe, and the impact to society, in terms of death and consequent illness, qualifies TBI as an urgent public health and medical problem. This is true especially in developing countries, which not only have higher risks for getting hit in the head, but also lack developed healthcare systems able to address the resulting problems. Latin America and Sub Saharan Africa’s TBI-related incidence rate ranges from 150-170 per 100,000 respectively, while globally the rate is 106 per 100,000. Measuring statistics globally is tricky, as countries vary in the ways they report – if folks report at all. Gathering reliable statistics in developing countries where towns and villages can be far removed from modern healthcare, and getting hit on the head that can happen while going about your daily work in the fields or doing manual labor. Not everyone has A) the time and opportunity to stop what they’re doing and go get help, or B) the medical resources available to help them (and report to). There are cultural considerations – stigma about drawing attention to yourself if you’re hurt… economic considerations – not everyone can just stop working to go to the doctor and recover… social considerations – getting clunked on the head may be a common experience for your immediate social circle, so “making a big deal out of it” might not be an option for you, if you want to stay connected with others. Bottom line is, TBI isn’t just an American problem. It’s a global problem that affects tens of millions of individuals worldwide – possibly more. Financial and vocational outcomes 1 year after traumatic brain injury. Worldwide incidence of traumatic brain injury could be six times higher than previous estimates.